GIVE today to help Clearbrook’s clients’ dreams come true! 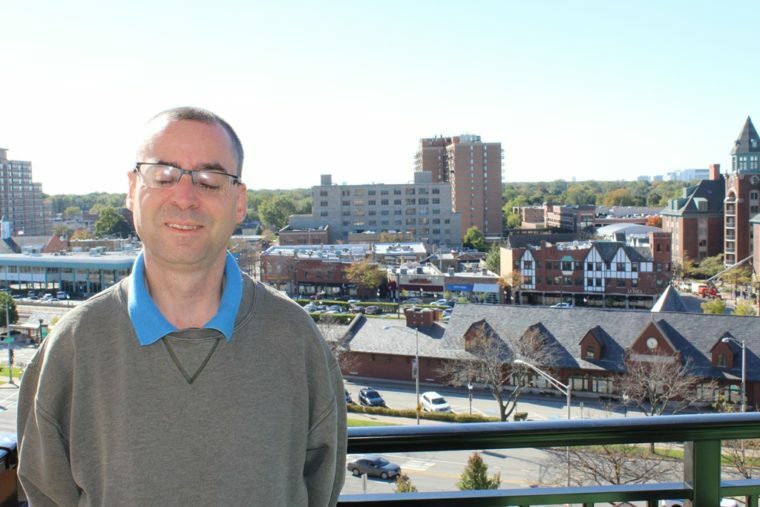 David loves the view from his apartment in Arlington Heights! We all have dreams, be it finding your dream home or job. Our clients have dreams too, and they need your support to reach them. Please make a gift today to support Clearbrook clients and make their dreams a reality. Your gift will have a direct impact on our clients, like David. He had a dream to live in an apartment on his own. He had always had roommates, but wanted to try living alone. With the support of Clearbrook staff, David moved into his apartment in August 2018. Clearbrook planned a housewarming party for him. David even registered for gifts so he could decorate his apartment exactly as he wanted to. Stories like David’s are only possible thanks to the generous support of our donors. Together, we can empower individuals to accomplish the impossible. Please make a donation today to ensure the stability, opportunity and support so deserved by those with intellectual/developmental disabilities including autism, Down syndrome, and cerebral palsy. Thank you for sharing the holiday spirit with Clearbrook clients and their families.